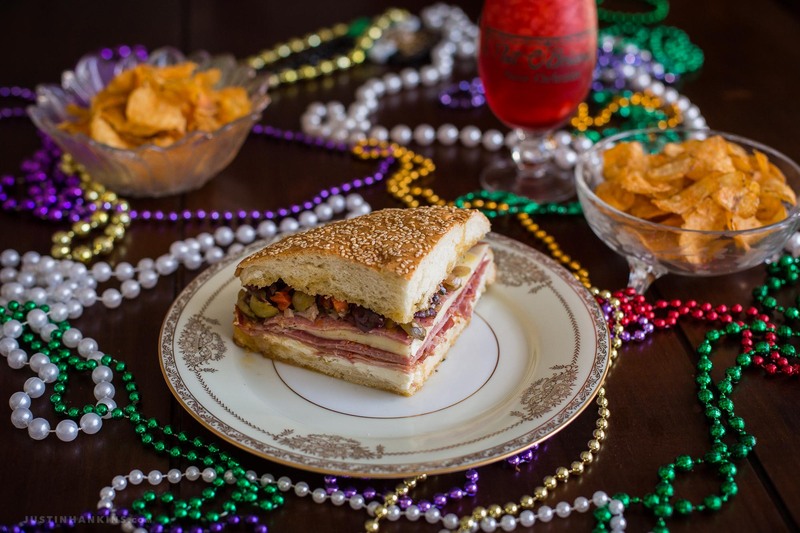 New Orleans is one of the greatest food destinations in the world, and the muffuletta sandwich is one of the most quintessential foods in New Orleans. 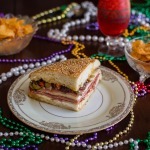 Although many imitations exist, there’s nothing better in my book than the original Central Grocery muffuletta recipe. 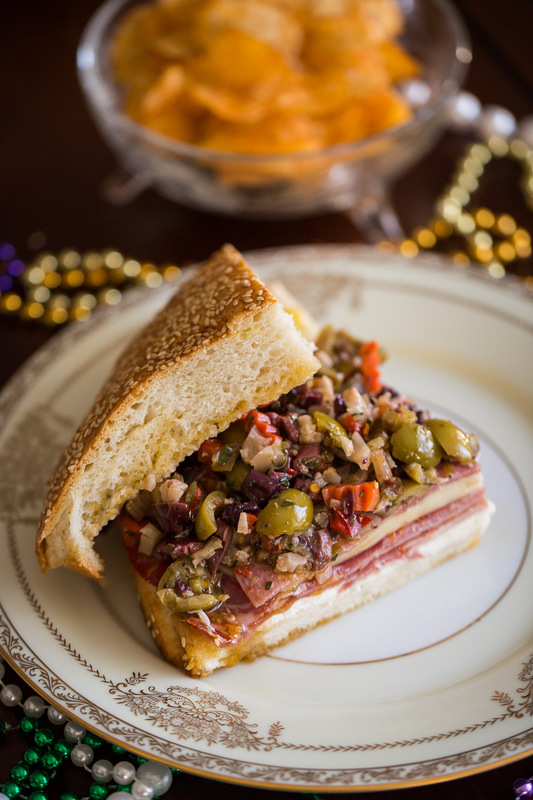 Here’s my take on the muffuletta sandwich recipe, inspired by Nola Cuisine, which has been my go-to source for a decade. 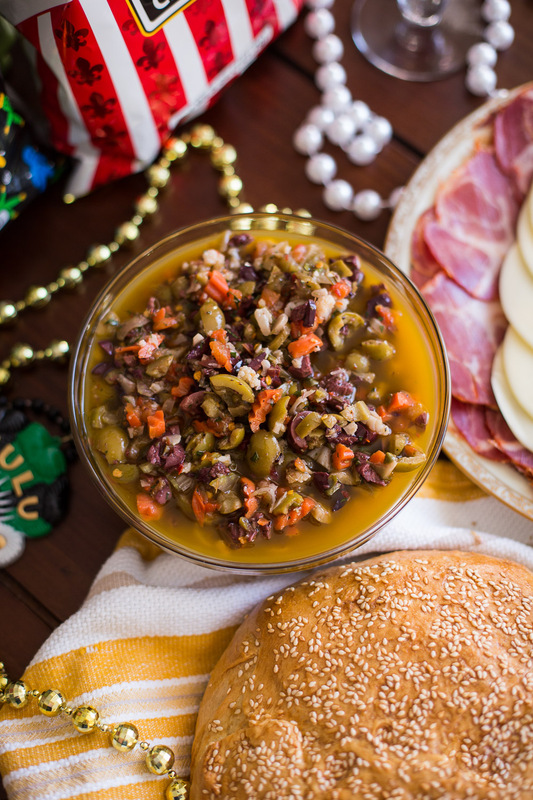 The muffuletta bread is as special and important as the olive salad. 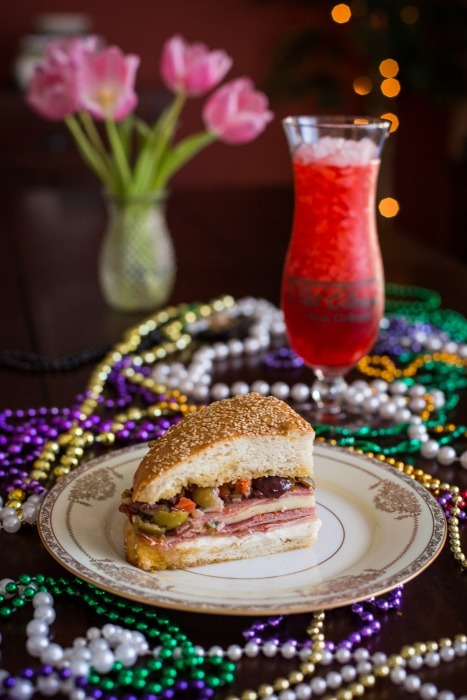 It’s a lot like focaccia, only… different. 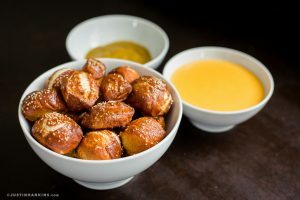 And topped with sesame seeds. It’s crispy on the outside and light on the inside, yet holds up beautifully to the oil in the olive salad. In fact, it acts like a magical sponge that absorbs the oil without getting soggy. And appropriate enough to the multicultural history of New Orleans, it’s a hybrid of sorts between Italian and French breads. 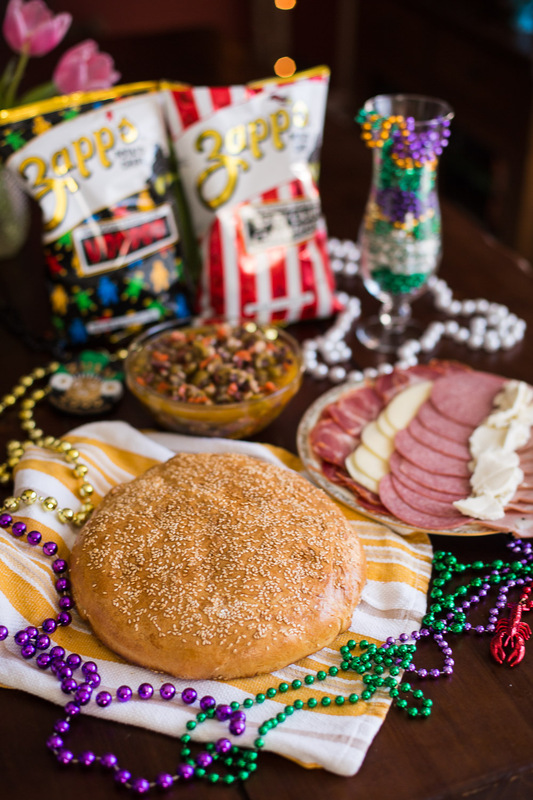 With the olive salad and muffuletta bread on-hand, the final step is preparing the meats and cheeses inside. 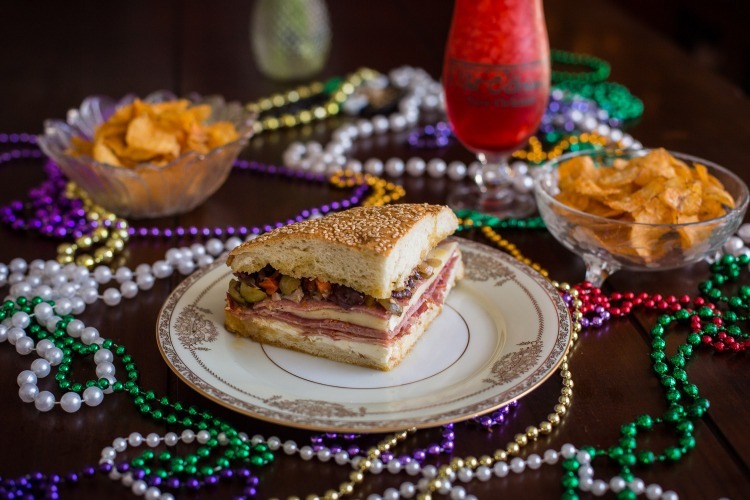 Genoa salami, provolone, and mozzarella are all pretty easy to find. 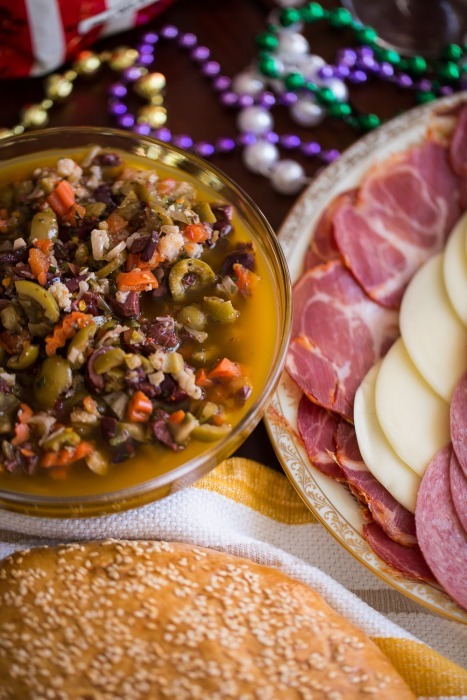 Mortadella and capicola might require a trip to the shmancy grocery store in town. 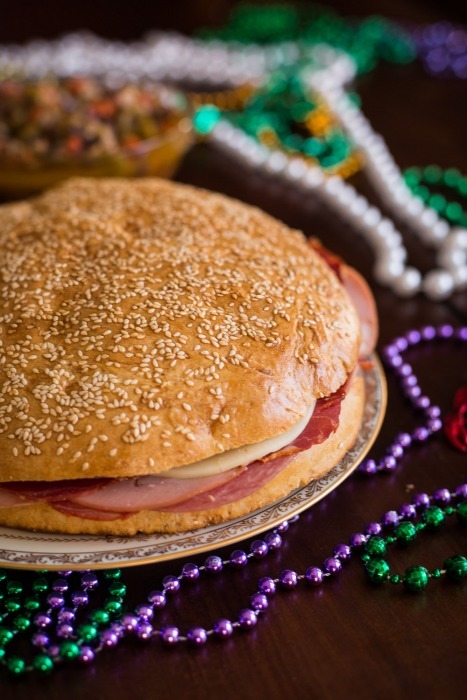 Otherwise, you can substitute ham for the capicola and bologna for the mortadella. 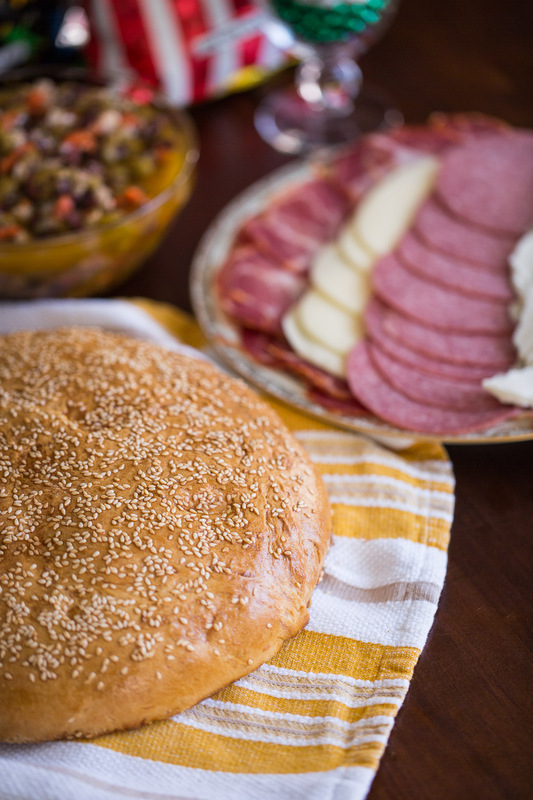 After thoroughly brushing the bread interior with oil from the olive salad, the preferred layering sees half of the salami on the bottom, then the mortadella, mozzarella, capicola, provolone, and remainder of the salami. That said, if you’re attentive to details, you’ll notice I forgot to do it in the right order and my sandwich was still OMG GTFO. So break the rules however you see fit. You do you, gurl. Once you’ve layered your cold cuts, the final step toward heaven on earth is topping the sandwich with the olive salad. 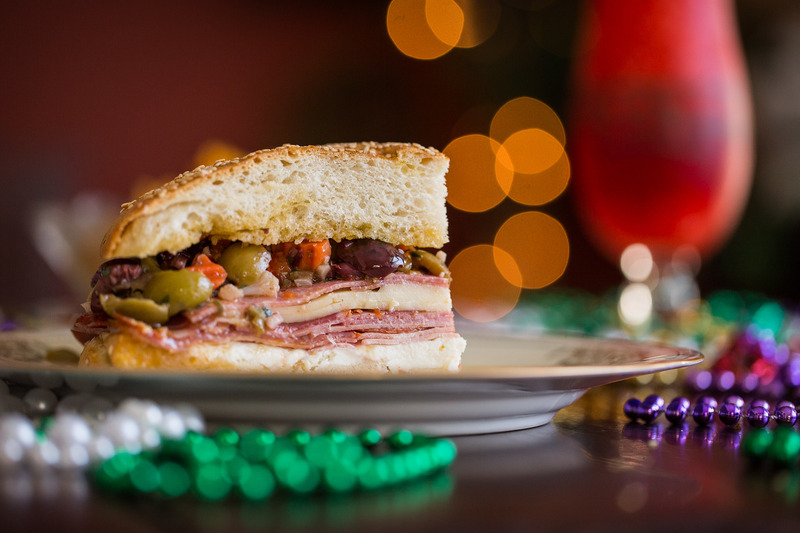 Some people then wrap the muffuletta up and place weights on top to compress everything for a few hours. Others wrap it tightly and refrigerate overnight. I applaud those folks’ patience because there ain’t no way I have enough self control to resist digging into the sandwich immediately. 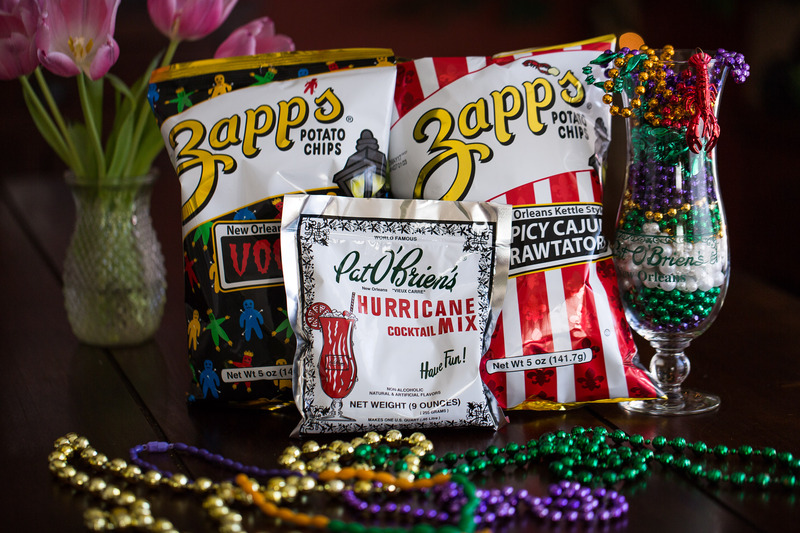 And since it’s Mardi Gras today, it wouldn’t be the same without a Pat O’s Hurricane and Zapp’s chips. In the bowl of a stand mixer, combine warm water, yeast, and sugar. Stir well and let stand for 10 minutes until it becomes foamy. 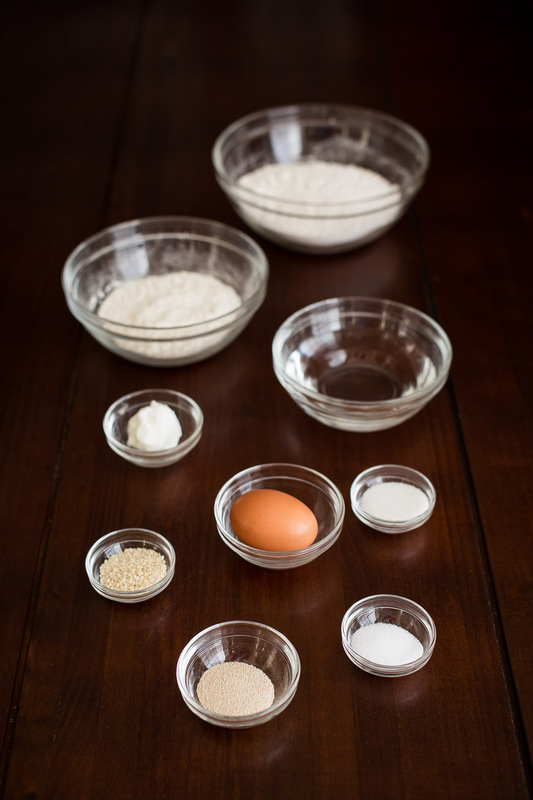 In a separate bowl, combine all purpose flour, bread flour, salt, and shortening. Use your hands to break up the shortening until no noticeable clumps remain. 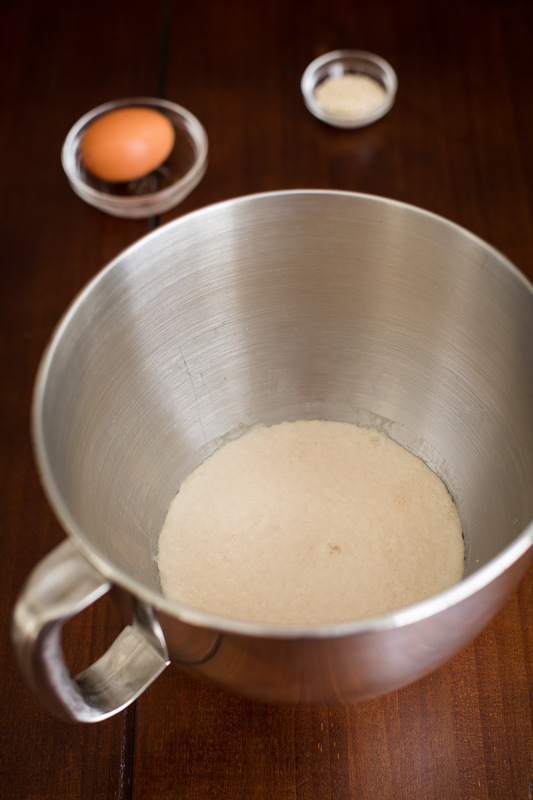 Once the yeast is foamy, fit the mixer with the dough hook attachment and slowly add the flour on low speed. Pause to scrape down the sides as necessary. 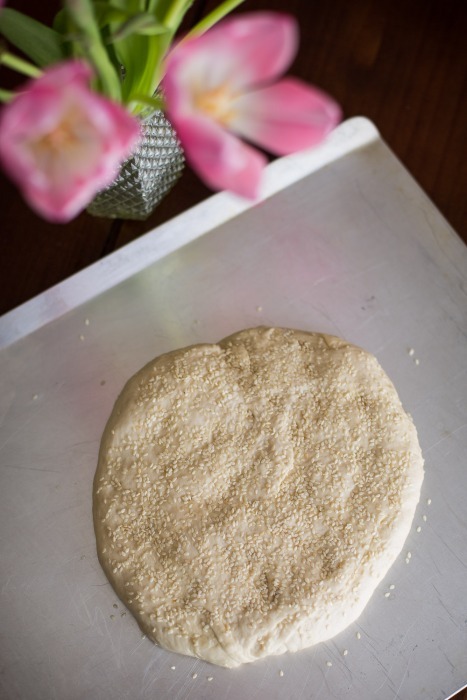 After the dough comes together, place it on a lightly floured surface and knead until smooth and elastic (about 10 minutes). A good indicator for when it's done is by poking it with your finger: if the dough springs back quickly to fill the gap, you're good to go. Coat a large bowl with the olive oil (3 tbsp is on the generous side). 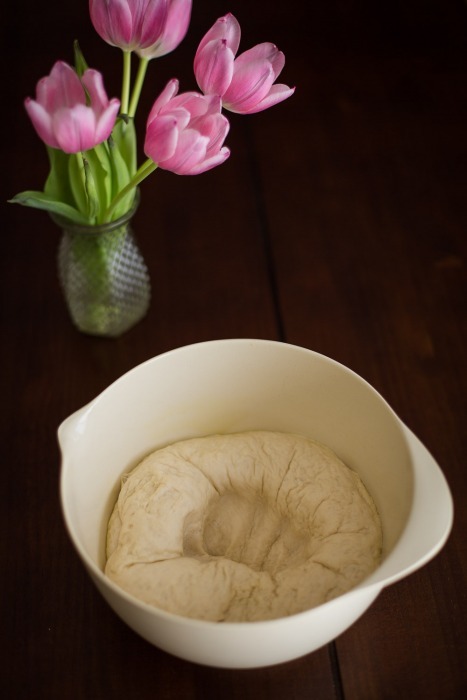 Place the dough in the bowl, then turn once to coat it in oil. 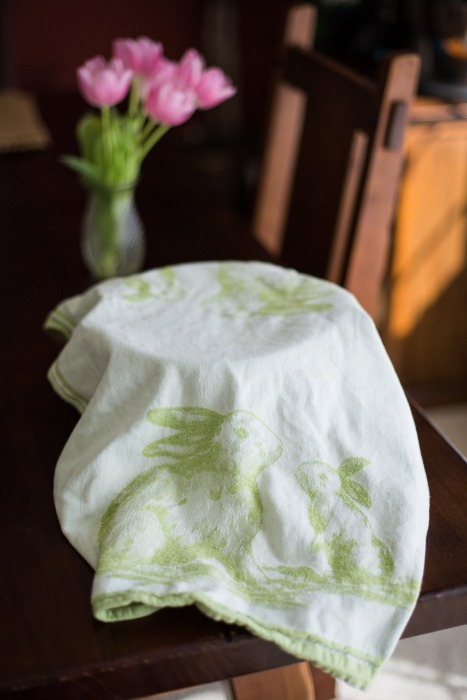 Cover loosely with a towel or plastic wrap and place in a warm spot, like next to a window with the sun beaming in. Allow the dough to rise until doubled in size (about 1.5 hours). 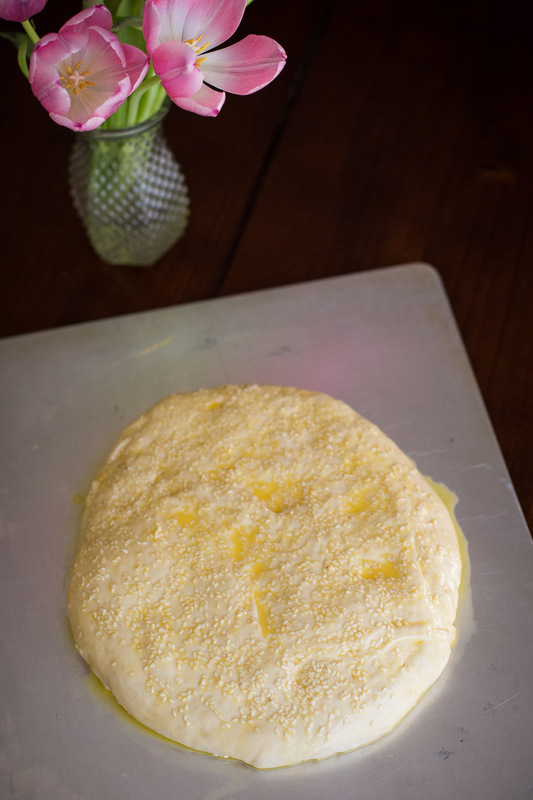 Punch down the dough and place it on a lightly oiled baking sheet. Shape it into a flat, round disk about 9 inches across. 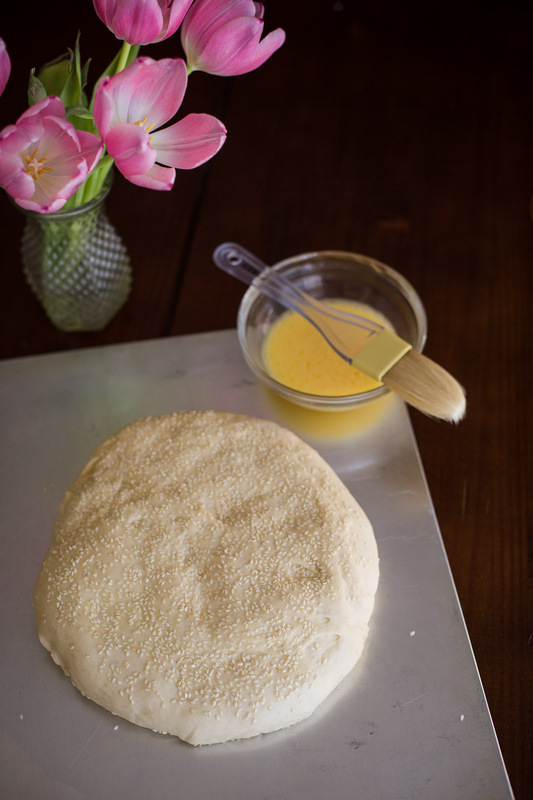 Sprinkle to top with sesame seeds and press them gently into the dough. 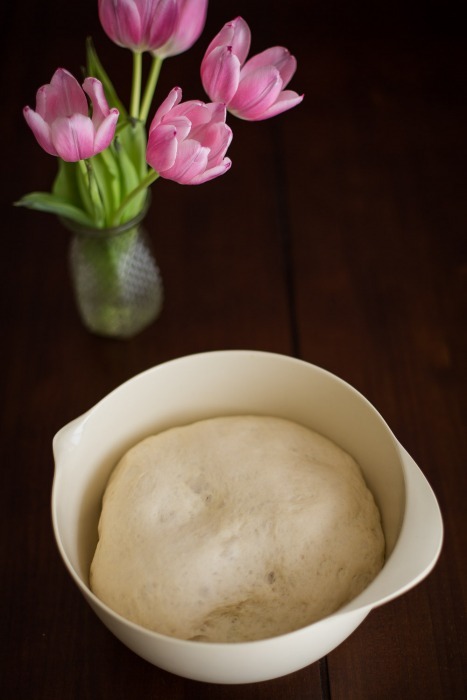 Loosely cover the dough and, once again, give it an hour to rise. 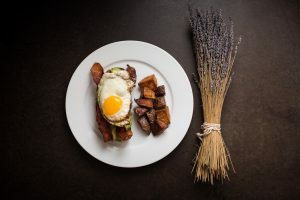 When the dough has risen a second time, whisk together the egg and 2 tbsp of cold water, then brush the top with the egg wash.
Place the dough in an oven at 425ºF for 10 minutes. Turn the heat down to 375ºF and bake for an additional 25 minutes. 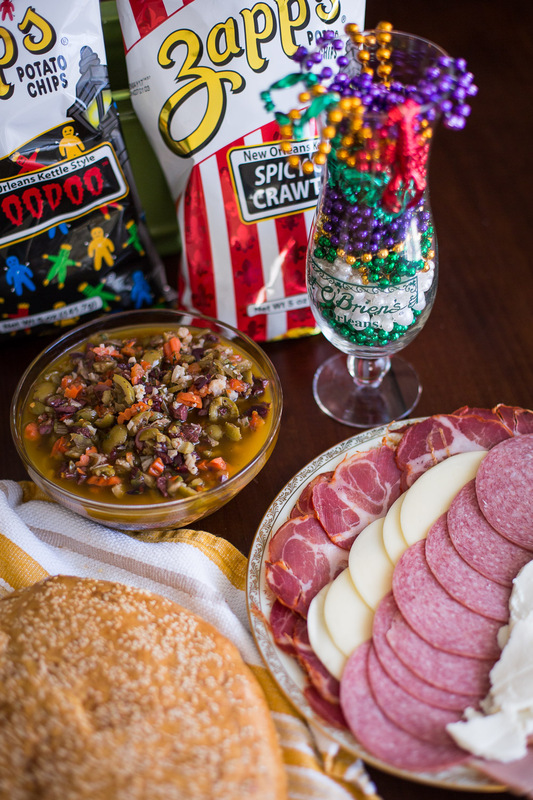 Recipe adapted from Nola Cuisine. Thanks, Danno! Chop all ingredients to your desired consistency. 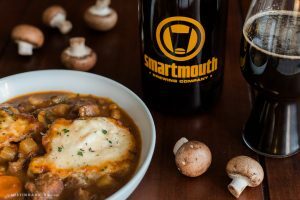 Combine everything together into a bowl. Cover and refrigerate for a week to allow the flavors to marinate together. Stir occasionally. 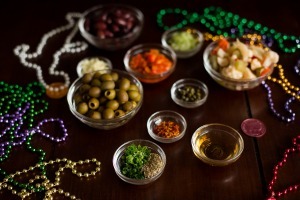 Remove from refrigerator a few hours before use to allow olive salad to return to its natural consistency. Cut the muffuletta loaf in half lengthwise. 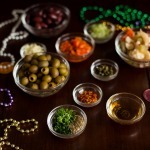 Generously brush both halves with the oil from the olive salad. Layer as such: half of the salami on the bottom, then the mortadella, mozzarella, capicola, provolone, and remainder of the salami. Top all of this with the olive salad. Add the top of the bread back on and press down. It's good to go as-is, but some people leave it compressed for an hour or more. Some people wrap it up tightly and let it sit overnight. Cut the sandwich into quarters. Moan as you eat each bite.